Quilt binding is quiet work around here. 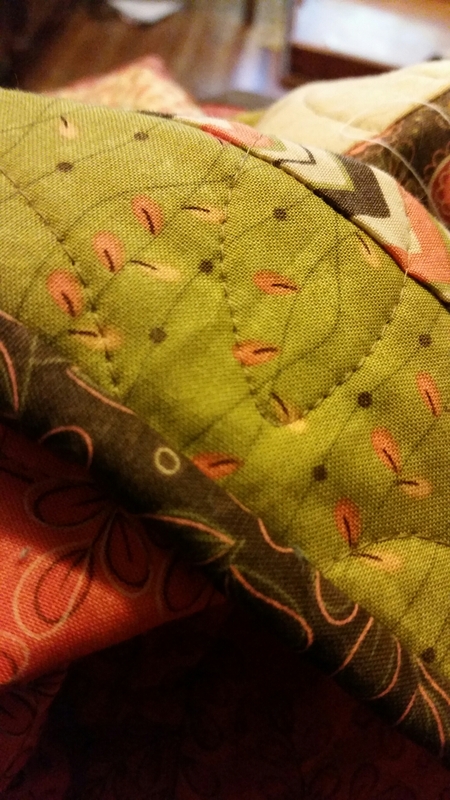 Just me and the quilt bunched up across my lap, tiny stitches moving slowly around the edge. The bears come and go, stopping every now and then to check my progress. It will take some time to make my way all the way around. 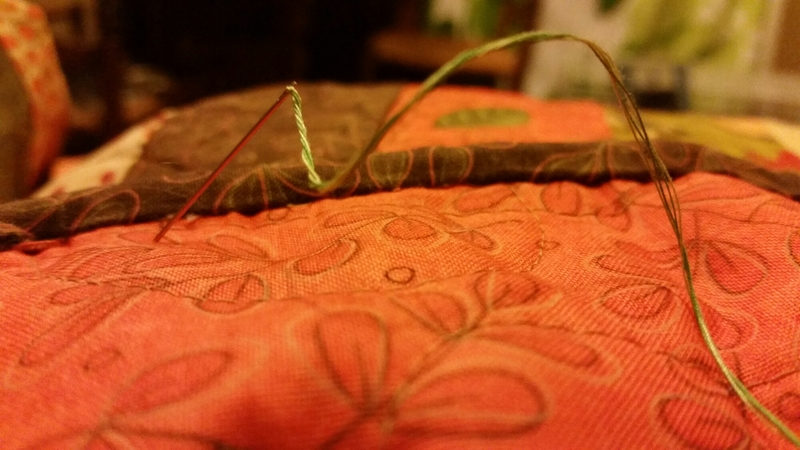 One stitch, I breathe in and try to relax. Two stitches, breathe out and let go of a little more of the work day. Ten, eleven, tweleve, I think through the schedule for tomorrow and try to rewrite a calculation in my head. Twenty-nine, thirty, work is done and I’ve moved on to things that need to happen around the house. 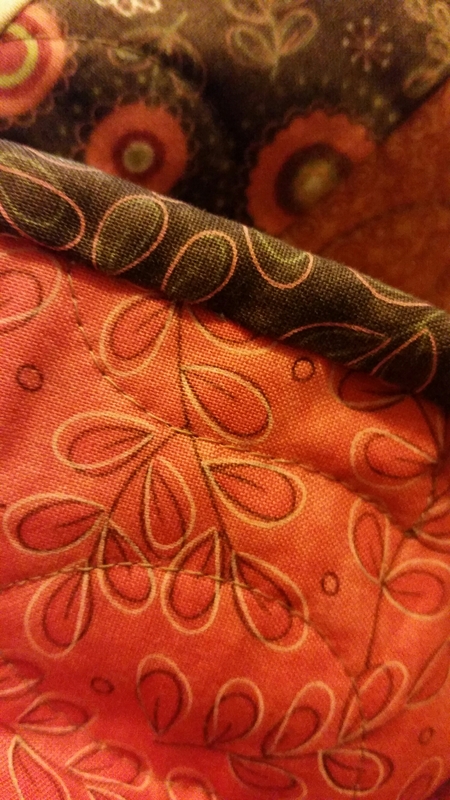 By the time I get to fifty it is just me and the quilt again, breathing in the moment. It is good work.